BCODN requests that presenters donate their time and expertise. 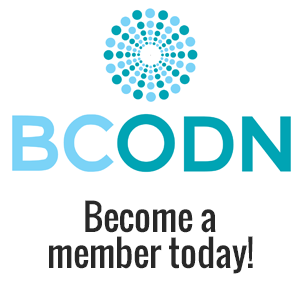 While BCODN does not pay honoraria, the network does pay event costs and eligible speaker expenses for the professional development sessions. Important: BCODN holds a policy that presenters not actively sell their products or services during learning events. Knowledgeable speakers who provide the audience with relevant content and information will inspire interest and be asked for further resources. Preference will be given to BCODN members. Become a member! Once you have gathered your information, please submit your form to the attention of VP, Programs at info@bcodn.org.